Two of the biggest suppliers to the UK golf industry have announced that they have formed a major partnership that both believe will benefit golf clubs throughout the world. A Leicestershire golf club that closed down last year could re-open next year as a major holiday golfing destination. The latest research on golf participation in the UK has found that more people played the game in April, May and June this year than in 2016. The director of a golf ball collection company has been jailed after an employee drowned on a Welsh golf course last year. A golf operator has bought its third golf club in 18 months as its chief executive states it is on an ‘acquisition strategy’. It’s not that unusual for a golfer to hit a hole-in-one on a golf course – but when the golfer is the club’s secretary and nobody had ever done this before, then it becomes a story. A report in the Wall Street Journal has found that there has been a large trend in which golf clubs are expanding their fitness offerings in order to attract women to their venues. Four golf clubs in Norfolk have reported that thieves have attempted to steal batteries from their golf cars in the last three weeks. Mytime Active, which runs 16 UK golf venues, has announced it is testing a ‘customer service tracker’ to help it meet consumers’ demands. Lancashire’s golf clubs collectively saw an increase of more than 1,500 members in 2016, while Durham saw a surprise loss after a successful 2015. The television network ITV Anglia has run a profile on a 90-year-old female golfer who is enjoying the game she has played for more than 60 years. A local authority has rewarded a golf club that has been at the heart of its community by freezing its rent for the next five years. The first centre for people to play golf indoors on simulators in Wales has opened – highlighting the growing demand for this activity. A golf club in Leicestershire has received local praise for transforming a flooded bog on its course into a pond and wildlife haven. In one of the clearest signs that the golf industry is experiencing recovery, The Lancashire Union of Golf Clubs has said its members have this year collectively seen a rise in their members for the first time in 12 years. A legally blind golfer with five per cent central vision has hit his second hole in one in ten years. A survey of how people use the internet has found that 90 per cent of golfers now have a smartphone, meaning the number has doubled in just four years. A leading Scottish golf club has revealed that it has had to tackle the bizarre problem of tourists in the area walking onto its course and building sandcastles in its bunkers. Organisers of a new sport to the UK are hoping golf clubs will be hosting Rugby Golf events in the way they have embraced footgolf in the last few years. England Golf is embarking on a listening exercise to get as many ideas as possible to grow golf, its new chief executive has announced. An 89-year-old Yorkshire golf club that closed down earlier this year lost half of its membership between 2012 and 2015. A charity that safeguards parks and playing fields is asking, via Bernard Gallacher, every golf club in the UK to show its support for it, after one venue in Northern Ireland was protected. A goodwill gesture from European Tour professional Eddie Pepperell has resulted in 51 children joining Frilford Heath Golf Club in Oxfordshire. 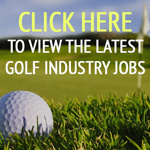 The Financial Conduct Authority (FCA) has told fund managers that they are spending too much time on golf courses. Stockwood Park Golf Club in Luton has ended its practice of offering concessions to elderly members – a move that has angered some but others do not approve of these policies in the first place. The Children’s University, an international charity that encourages children to develop new interests outside of the school day, has singled out Brandon Wood Golf Course and Club in Coventry for praise. England Golf has revealed that 15 golf clubs were so badly hit by flood damage this winter that they applied for support from the Emergency Flood Relief Fund – and 13 of them were successful.